CCSVI refers to impaired blood flow from the central nervous system to the periphery. 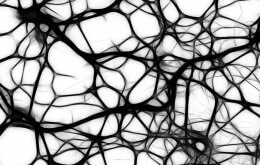 It has been hypothesized that this narrowing of veins restricts blood flow from the brain, altering brain drainage, and may contribute to brain tissue injury that is associated with multiple sclerosis. CCSVI has generated intense interest among MS patients worldwide. Independent scientific studies, including one of the largest to date being conducted by Zivadinov and UB colleagues, have suggested an association with MS, although none have found conclusively that the condition is associated with MS.
Zivadinov and his colleagues at the Buffalo Neuroimaging Analysis Center, part of UB’s Department of Neurology in the School of Medicine and Biomedical Sciences, and at other institutions have published or presented more than 25 studies on CCSVI. One of these found that patients with other neurologic diseases and healthy individuals also present with CCSVI, a finding that Zivadinov noted further underscores the need for additional research. “CCSVI intervention should be restricted to blinded, randomized and controlled clinical trials that will establish the safety and efficacy of these endovascular procedures,” Zivadinov said. “This should be done according to established clinical, MRI (magnetic resonance imaging), and quality of life treatment outcomes employing safe and ethical approaches. “Until these steps are accomplished, I believe there is no role for endovascular treatment of CCSVI in MS patients or in patients with other neurological disorders outside of approved clinical trials,” he concluded.